STUFF I LEARNED FROM John Maynard Keynes's "The General Theory of Employment, Interest, and Money"
Hi, I'm new. Is it ok if I skip a lil bit step 2? and start investing? Normel is referring to the "Build up your emergency fund" step of the guide, and I'm pretty sure that his apprehension is shared by many investors, even some of the more seasoned ones: many investors are wary of the lost opportunity to earn returns from higher-yielding investments when a significant amount of cash (6 to 8 months worth of expenses as was mentioned in this post) is tied in idle (or virtually zero-interest) assets like bank accounts. In this post, I will discuss important reasons why it makes sense for us to pay this opportunity cost, using arguments presented by the celebrated economist John Maynard Keynes in his seminal work, The General Theory of Employment, Interest, and Money. 1. The transactions motive. "The need of cash for the current transaction of personal and business exchanges." 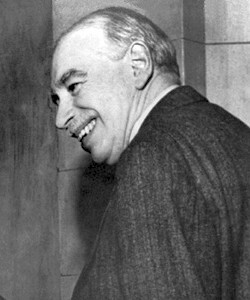 Keynes disaggregates this motive into two sub-classes, the income motive and the business motive, but the rationale is pretty much the same for both: often there is a considerable time interval between when cash is needed and when it is available, such as when there are delays in its disbursement, as in the case of wages for individuals (income motive) and revenues or payments for businesses (business motive). If the need to spend cash is immediate (as is almost always the case) and the delay is considerable, sufficient cash must be readily available to bridge the gap. 2. The precautionary motive. "The desire for security as to the future cash equivalent of a certain proportion of total resources." This is where the "emergency" in "emergency fund" comes from: we need to hold a certain amount of cash for unforeseeable and unexpected expenses that are not (or cannot be) covered by standard risk management instruments like insurance. In my opinion, this is the most important reason for storing cash in liquid and safe assets, as I've seen real assets unnecessarily liquidated (at steep discounts) and small fortunes get wiped out in a small amount of time because of catastrophic financial emergencies. the reliability of methods of obtaining cash, when it is required, by some form of temporary borrowing, since holding idle cash won't be necessary if it can be obtained without difficulty at the moment when it is actually required. In real life, though, since these sources of "temporary borrowing" can smell desperate need from a mile away and raise interest to unreasonable levels accordingly, it often makes more sense to just hold a substantial amount of cash and just pay whatever opportunity costs you incur. 3. The speculative motive. "The object of securing profit from knowing better than the market what the future will bring forth." In general, the importance of the first two motives is driven by the usual activity of the economic system; the speculative motive, on the other hand, is more a result of extraordinary economic circumstances like financial crises and bubble bursts that result in irrationally depressed asset prices and consequently, opportunities to earn abnormally high returns. Investors who had ample cash reserves during the 2008 financial crisis, and even at the height of the recent (and still on going) middle east unrest or the Japan disaster, could have taken advantage of depressed stock prices and made a considerable killing a reasonable amount of time after, provided they are able to keep their heads amid an environment of mob-market panic selling. If we look at how markets have recovered from these lows, it's easy to see how the cost of not having enough cash to take advantage of these circumstances could be very significant. To end, these motives show us that there are tradeoffs involved in holding cash: while we lose the opportunity to earn (possibly) high returns from investing in risky assets like stocks and bonds, maintaining cash reserves also provides valuable benefits by protecting us from unpredictable, risky situations and giving us the capability to exploit rare opportunities to invest at a bargain. Hopefully, with these points it would be easier for investors to understand why it is important to first build an emergency fund before one invests in high-risk, high-return assets.